In the early 1990s in Singapore, Lee Kuan Yew invited a visiting Chinese Communist Party secretary from Fuzhou city to a private meal. The party official was barely 40 at the time and relatively unknown. Lee, who had already stepped down as prime minister but remained in cabinet, apparently wanted to meet the young man because he was the offspring of a Chinese revolutionary hero and considered a potential leader in China’s future. Lee Kuan Yew is one of the few men to have met all the modern-day leaders of China: Mao Zedong (above left), Deng Xiaoping, Jiang Zemin, Hu Jintao and Xi Jinping. The meeting was part of Lee’s unremitting investment in understanding China’s pantheon of leaders – whom to many in the West seemed faceless and interchangeable. Indeed, Lee was the only global leader who met all five Chinese Communist Party leaders, from Mao Zedong to Deng Xiaoping , Jiang Zemin , Hu Jintao and Xi Jinping – the same young party secretary from Fuzhou he entertained two decades ago. Convinced that China would always affect his little city state, Lee wanted to look beyond ideology and punditry to comprehend the Asian giant’s future trajectory. The student became the master: at his prime he was sought after by other world leaders for insights into the China’s leadership and its thinking. In his memoirs, Lee makes plain his admiration for the late paramount leader Deng Xiaoping who led China’s opening up in 1978. 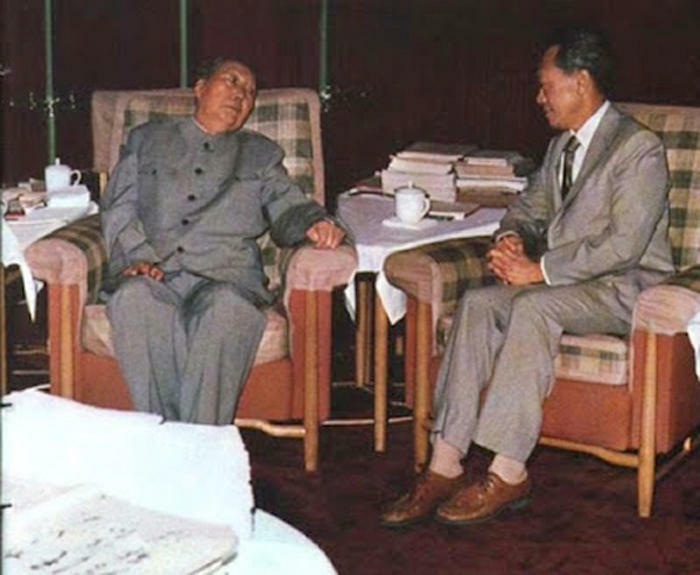 Lee recalled his conversations with Deng, including one that year when Deng visited Singapore. Deng was impressed with Singapore’s transformation. Lee told Deng that the Singapore Chinese were descendants of illiterate landless peasants from Guangdong and Fujian, whereas the scholars, mandarins and literati had stayed and left their progeny in China. In Deng’s much-publicised tour of southern China in February 1992, he famously challenged Guangdong to catch up with Asia’s four “dragons”, and to draw specifically from the experience of Singapore. Always aware of the size of the problems that the Chinese leadership was dealing with, Lee had no patience for Western politicians and commentators who were pushing for democratisation in China, encouraged by the collapse of the Soviet Union. He expressed these views so forcefully that he came to be thought of by some as an anti-Western apologist for China. However, he was not above gently chiding China. He did say that India’s democracy could allow it to overtake China in the long run, for example. And even at the height of his “Asian values” rhetoric, Singapore remained a staunch unofficial ally of the United States. Keeping the US engaged in the region to act as a counterweight to a rising and unpredictable China remained one of constants of Singapore’s foreign policy under Lee and beyond. His view on the need for such geo-strategic equanimity occasionally got him into a pickle. In 2009, when he talked about the US presence in Asia as a ‘counterbalance’ to China, his realpolitik was too much for some nationalistic Chinese netizens who called Singapore an insignificant American pawn, among other jibes. As the only country outside Greater China with a majority-Chinese population, some of post-war Singapore’s earliest political battles involved wresting itself away from Beijing’s sphere of influence. Even after China stopped trying to export communism, Lee was always conscious of the need to dispel any assumptions that Singapore’s ethnic majority owed any special loyalty to the motherland. Cultural and economic links have grown between the two states, but always only on the basis of Singapore’s unquestioned sovereignty as an independent republic. Lee appeared to win the respect of his Chinese counterparts, and with that came Singapore’s growing reputation as an honest broker. 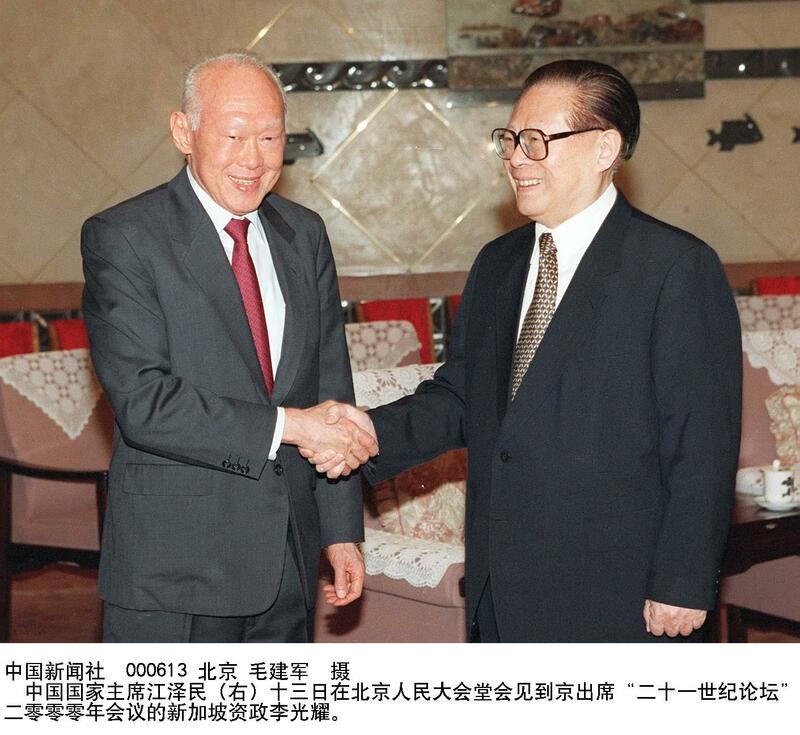 Lee acted as a channel for messages between mainland China and Taiwan, and this led to both sides choosing Singapore as the venue of their first-ever talks in 1993, called the Wang-Koo talks, after the names of the leaders who represented each side. Lee paid close attention to China’s handling of Taiwan and Hong Kong, visiting these two places annually during his years in office to see how they were progressing. On Hong Kong, Lee said he saw it as a “source of inspiration, of ideas of what was possible given a hard-driving society” and during each annual visit he made it a point to observe what he could learn and introduce in Singapore. In his memoirs, he wrote that there was a “wide and deep gap” between what Hong Kong people wanted for themselves and the expectations of China’s leaders. In the book published in 2000, just three years after the handover of Hong Kong to China, he wrote: “Over the next 47 years both sides must move towards each other and converge. It may not be as difficult as Hong Kong people now fear. 1936-42: Studies at Raffles Institution, Raffles College. 1946-50: Studies at the London School of Economics and Political Science and University of Cambridge. Called to the Bar at Middle Temple. 1947: Secretly marries Kwa Geok Choo in England. Kwa, a Queen’s scholarship winner, was also studying law at Cambridge. 1950: Marries Kwa again after returning to Singapore. 1954: Inaugurates People’s Action Party. 1955: Becomes leader of the opposition after being elected to legislative assembly. 1957: Is part of team that wins agreement on self-government for Singapore. 1959: Leads PAP to victory in general election, becomes prime minister of self-governing state of Singapore at 35. 1963: Singapore, Malaya, Sarawak and Sabah become Malaysia, gaining independence from the British. 1965: Singapore separates from Malaysia. Lee tears up after announcing the split. 1967: National Service starts. Then Defence Minister Goh Keng Swee said the government’s decision to introduce compulsory conscription of male youths was aimed at establishing a credible defence force and creating a national identity. 1972: Singapore Airlines is established, the result of a split of Malaysia-Singapore Airlines into two entities. 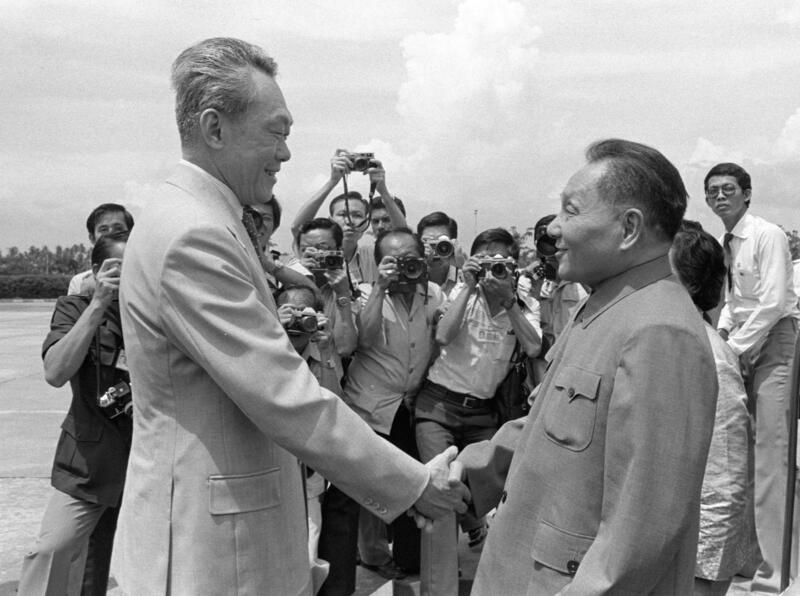 1978: Lee meets Deng Xiaoping in Singapore shortly before Deng becomes China’s top leader. In a 2011 speech, Lee said Singapore had been a “revelation” to Deng, who saw how an island without resources was able to grow by inviting multinational corporations to invest. 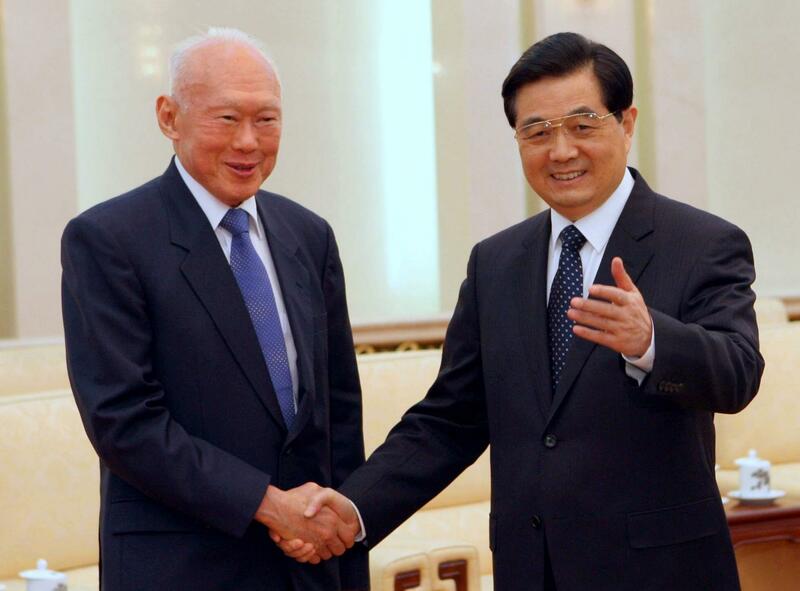 1990: Goh Chok Tong succeeds Lee as prime minister. Lee becomes Senior Minister. 2004: Lee becomes Minister Mentor as his son Lee Hsien Loong becomes Singapore’s third prime minister. 2011: Lee and Goh resign from the Cabinet after the PAP, led by Lee’s son Lee Hsien Loong, wins the general election with the smallest share of the popular vote since independence. The elder Lee had been a cabinet member for more than five decades. 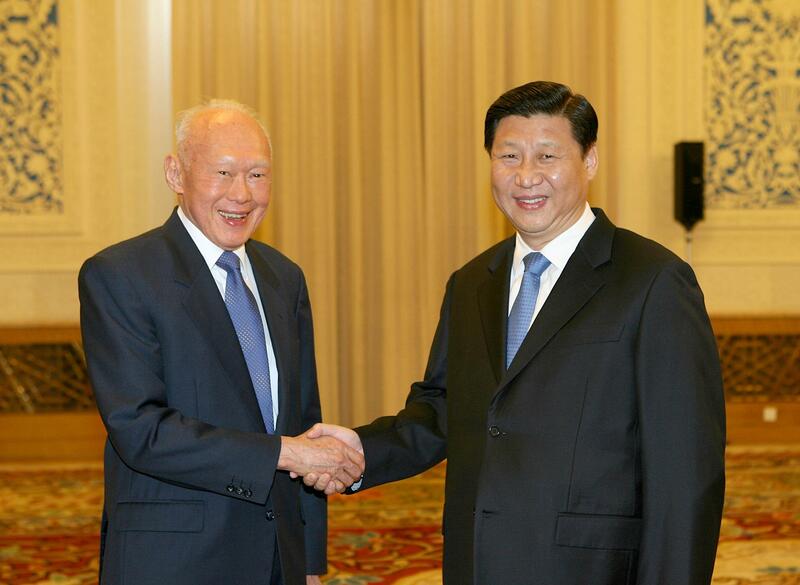 February 5, 2015: Lee Kuan Yew is taken to hospital for severe pneumonia.